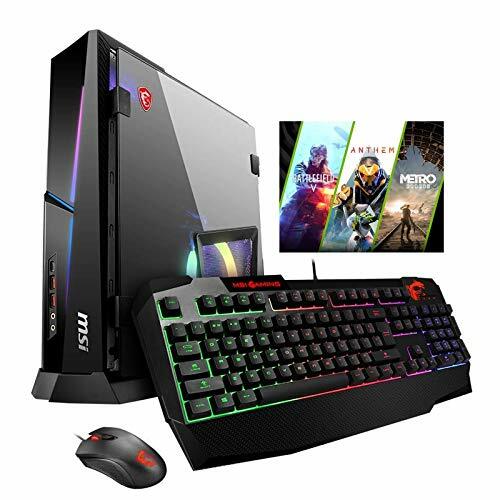 THERE’S A GROWING TREND for prebuilt small-form-factor gaming desktop PCs that come with a hefty specifications list. Small-form-factor cases have been around for a while, but the chassis of some of these new prebuilt PCs are nothing short of stunning, both on the outside and on the inside. Airflow becomes a higher priority with tightly spaced components, but the decent flow of air in MSI’s Trident X isn’t the only good thing about it. 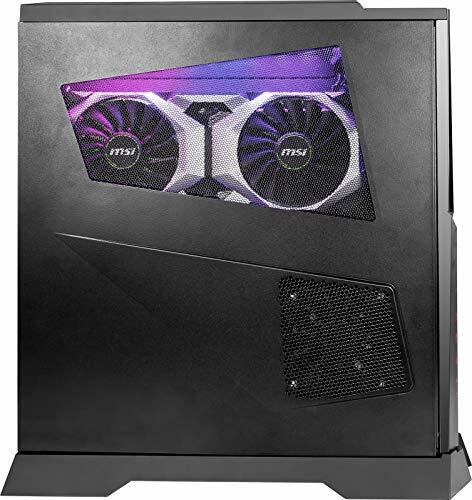 At just five inches wide, the Trident X looks deceptively compact from the front, but just like a good pub sandwiched between old brick buildings, it extends three times as long, leaving enough room for a dual-fan RTX 2080 and everything else needed for a high-end gaming PC. The right side panel is swappable for either an opaque matt black metal panel or a dark frosted tempered glass alternative. The RGB heatsink fan is visible through the mesh vent on the side regardless, but that’s the only pretty thing on that side of the case. The rest of the visible internals are cables, the PSU, and two vertically mounted SSD bays. Not exactly exciting. Which is why some might prefer to leave the opaque panel on, but it’s easier to access the SSD bays with a swinging, magnetic tempered glass panel. 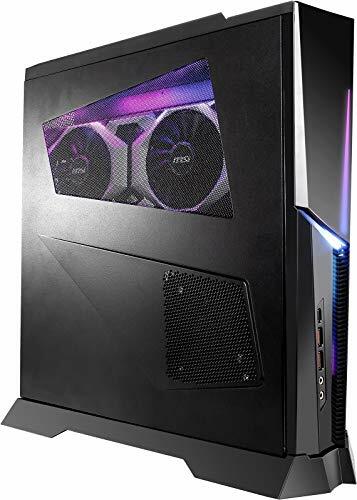 The other panel doesn’t switch out, but there is also a mesh vent to show off the graphics card inside the case, which sits under the glow of RGB lighting, as well as a vent for the PSU fan. Going back to the cooling solution, the Trident X model we received comes with an air-cooled Intel Core i9-9900K. 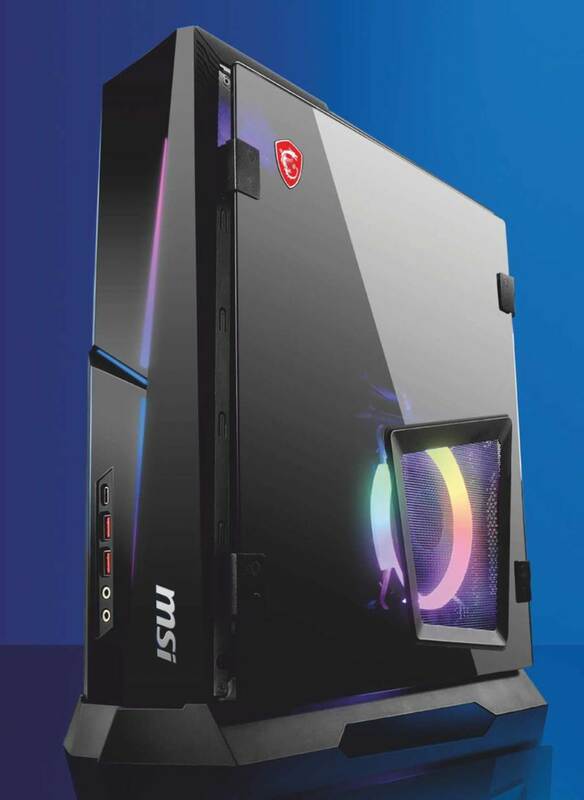 Similar prebuilts generally come with an all-in-one liquid cooler, so how did this air cooling solution fair? The overclocked CPU on our model reached clock speeds of 6.8GHz at a high of 76 C when running multicore tests—well within a safe range. 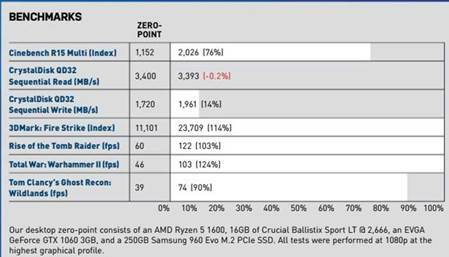 Performance-wise, there isn’t much left to the imagination, given the juicy list of high-end components. The processor consistently spat out numbers between 2016 and 2024 in Cinebench, and the 3DMark benchmarks showed crazy- good performance at 1080p and 1660p (23,709 and 12,659 respectively). 6K was a bit sluggish with a score of 6,696. Actual gaming in 1080p on ultra confirmed those 3DMark scores: Shadow of the Tomb Raider performed at an average of 122fps; Total War: Warhammer II at an average of 103fps between battle, campaign, and skaven modes; and Ghost Recon: Wildlands turned out an average of 76fps. At 1080p, Metro Exodus also performed at 60fps on ultra (ray tracing on), thanks to the RTX 2080. The configuration we received was the top-of-the-line model Trident X, but it also comes in two other configurations. 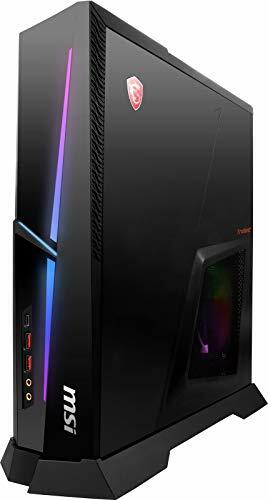 The two lower models each come with an Intel Core i7- 9700K, whereas it drops about $ for the lowest. 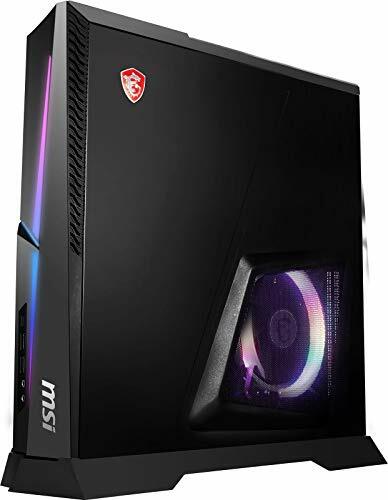 That lowest model comes with an RTX 2070, a 650W Bronze-rated PSU, and only a 512GB M.2 SSD (no HDD for extra storage), which all account for the bigger price drop. 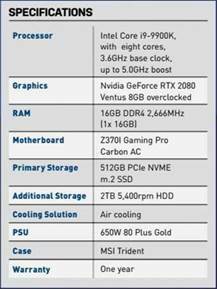 However, the price of the top-tier Trident X looks like a sweet deal for the specs if you compare it to other similar prebuilts on the market.